Scrapping the 4% diesel surcharge from 2020 could provide a simple way to offset the impact of the switch to WLTP. 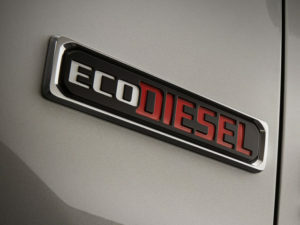 So says TMC as it adds that the move would also help ensure fairer treatment of diesels and help shore up the UK’s new car market. The comments come from the mileage and expenses management specialist in its submission to the Treasury as part of the current review into WLTP. Announced in October’s Budget and open until 17 February 2019, the review looks at whether revisions to Company Car Tax and Vehicle Excise Duty are required as a result of the shift to WLTP. It follows the introduction of the WLTP fuel and emissions testing cycle for all new car registrations from 1 September 2018, which has been introduced to generate more realistic fuel and CO2 figures. Initial evidence provided by manufacturers suggests that more than 50% of cars will see an increase from NEDC to WLTP of between 10% and 20%, bringing major cost increases for drivers through BiK and for fleets through VED and National Insurance contributions (NICs). Already, the Government has said it will retain the current CCT and VED structures as it believes these are fundamentally right. Now, Paul Hollick, MD of TMC, has said that one simple way to adjust the schemes would be to finally scrap the diesel surcharge. Although it was originally meant to be abolished in 2016, the Government retained it and later raised it in the 2017 Budget in the face of an anti-diesel backlash by the media over the emissions scandal. However, Hollick said that stricter emissions testing has largely solved those problems and that persisting with the surcharge – especially at the 4% level – is unjustified. He commented: “Today’s new fleet diesel cars emit 55 times fewer particulates and nearly seven times less NOx than those being operated when the diesel surcharge was first brought in. The reality is that the surcharge was there to incentivise cleaner diesels and it has already gone a long way to achieving that goal. There seems no justification for holding on to it until Real Driving Emissions-certified models begin to trickle on to the market in future, especially when the Government’s own guidelines for clean air zones exempt all current Euro 6 cars from toxicity charges. TMC’s submission to the Treasury will be backed up by data showing that is unrealistic to expect companies to simply drop diesels from their fleets. Analysis carried out in December on a sample of nearly 20,000 cars out of more than 120,000 live vehicles on TMC’s fuel and mileage capture database has showed that 97% are diesels. Average real-world fuel economy for diesel and petrol cars has improved slightly over the last few years, by 6% for diesels and 2% for petrol. But petrol cars still cost fleets 10-20% more in fuel than diesel models, depending on the price differential at the fuel pump. Petrol cars also typically impose higher tax on both driver and employers because they emit more CO2. For more details on the WLTP review and submitting a response, click here.